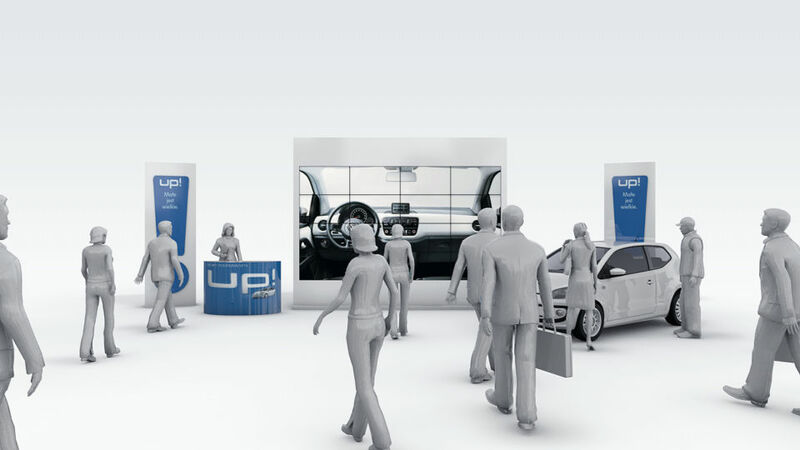 Interactive and entertaining presentation for VOLKSWAGEN UP! 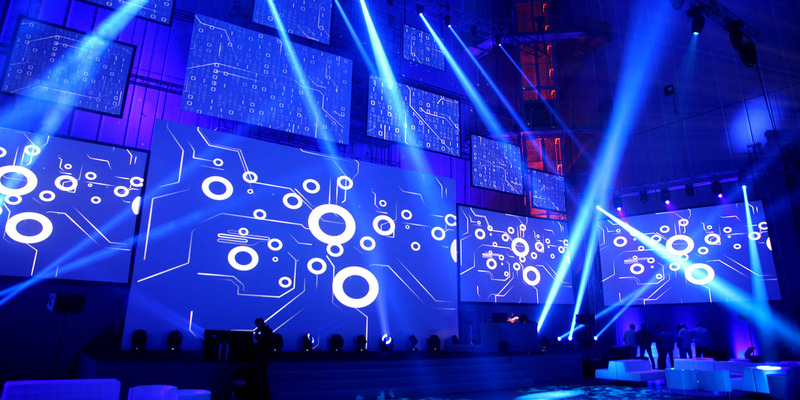 Multimedia installation controlled by gestures realized in the form of a roadshow in Warsaw and other major Polish cities. 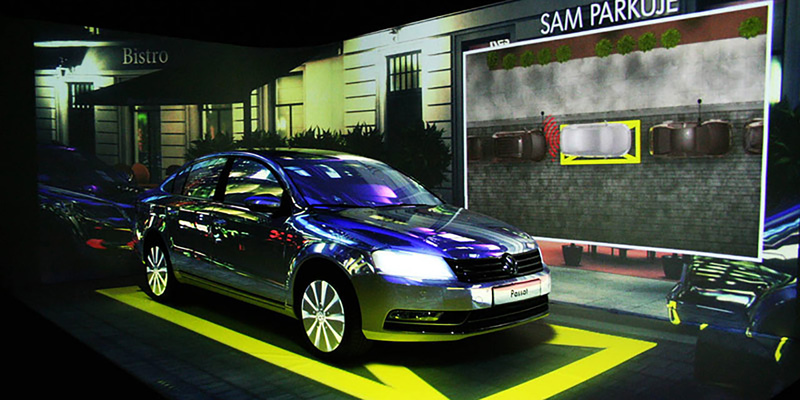 We designed a mobile interactive installation which displayed the car’s features in a fresh and interactive way. Our main goal while creating this roadshow event was to make it accessible for every audience and allow participants to experience the new functions of the car and have fun at the same time. The visitors were invited to participate in an interactive activity controlled with gestures. 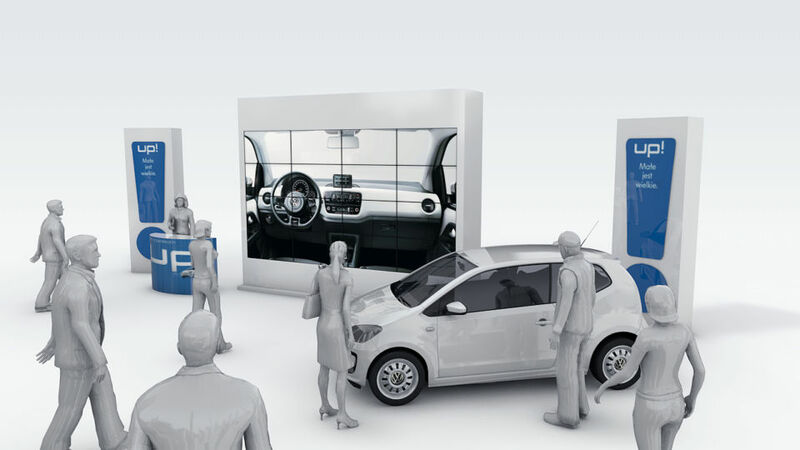 This way they were able to learn about the potential of Volkswagen UP! and virtually explore new systems applied in this little car. Thanks to an interactive 5m touchscreen we developed paired with a RadarTouch laser sensor we are able to create an interactive surface of almost unlimited size. 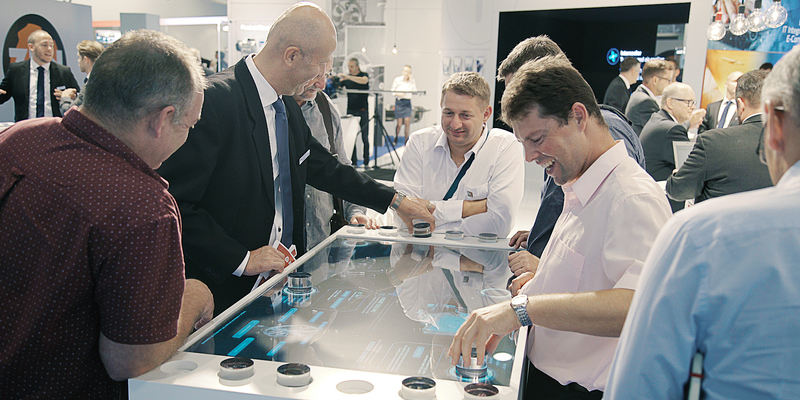 The technology applied engaged the audience and attracted attention. 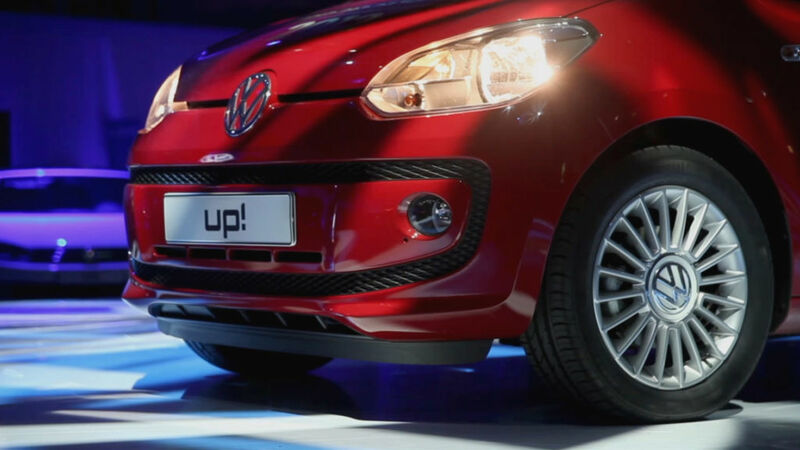 The visitors were able to become familiar with Volkswagen UP! and the outstanding features offered by the producer.